The year 2013 revealed some of the first black tapware ranges. These were used by market leaders renovating their kitchens and their bathrooms. However, these remodelers had limited choices and the few opportunities they had, happened to be susceptible to scratches and marks. In the following years, however, the matte black tapware ranges developed extensively, with new models and types on the market. It seems that the demand for black tapware is continuously on the rise, from homes to hotels, everyone wants one in their bathroom! Be it pink, purple, brown, yellow or whatever colour there may be in natures palette, black goes with it all. Effortlessly, goes with it all.Matte black tapware will provide a pleasing and aesthetic contrast to any colour scheme. It will enhance any neutral tones and take you from a bland bathroom look to a bold and modern bathroom look. You don’t have to have entire black walls or cabinets in the colour black; small fixtures can do the job easily. They will make a bold statement and bring vibrancy to any dull tones. Black is supposed to be a warm, neutral colour. Especially matte black can add warmth to your bathroom. If used right, matte black tapware can help you enjoy a nice contrast with your typical fittings. 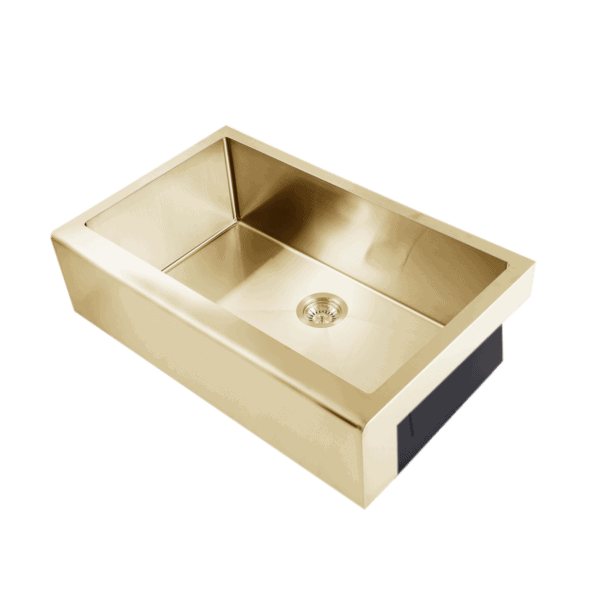 For instance, use matte black fixtures with a touch of brass or copper. The thing about matte black tapware is, it can go with any vibe. Whether your home enjoys a classic or contemporary look, matte black tapware will compliment both. Be it timber or tiles; our matte black fixtures will only enhance the beauty of your home, ensuring that it looks chic and in vogue. This is a bold bathroom look. It can be both modern and stylish at the same time. With just the right mixture of colours, you can have a subtle, daring look for your bathroom. It matches with either white or chrome which happens to be the most common colours in every bathroom. So if you’re are looking for the most minimalistic of changes, just add some matte black tapware to stay on the trend. Adding matte black tapware is simple. It’s a simple change to a simple bathroom. However, this one simple change can be everything. It will transform your bathroom from a drab, dull place to a bold, modern and sophisticated looking place. It will add style to your home, ensuring you stay on the trend. The time classic marble look never does go out of style, and it now seems neither will the new matte black era. Since most bathrooms may already have a marbled look, matte black tapware is just the thing to add to its existing beauty. At the moment, Carra marble is the top choice for home-owners because of its aesthetically pleasing look and durability. Placing a matte black tap on Carra marble tops will highlight the dark veins of the marble and allow the black tapware to stand out and give your bathroom a modern and chic edge. HAVE A COMPLETELY MARBLED BATHROOM WITH NO COLOUR TO ADD VIBRANCY TO IT? Just install our matte black tapware. And you will see the difference. It will light up and completely transform your bathroom. It will be beautiful and modern. The kind of bathroom you want your guests to use! Black is an entire state on its own. Especially paired with white. It will stand out and add aesthetically pleasing tones to your bathroom or kitchen. However, if you don’t want that stark black and white contrast, just enhance it with warmer hues like copper. Our matte black tap ware looks great with copper! The warm, metallic hues soften the harshness of white and black. Copper and black are both known to be rich, stylish colours that go well with one another. Therefore, try and team up your matte black tapware with copper to get a stunning look! THE LOOK OF MONOCHROME SPACES IS TIMELESS. If you’re are looking for a change, just add a tinge of black. Install our matte black tapware, and you will have an effortless look, classic and stylish. You can add matching bath ware, towels, soap dishes, curtains and mats. It will all go well together to create a holistically stylish look. Ignore the urban legends and let us inform you that matte black tapware is very easy to maintain. No extra effort required and that’s a promise. Fingerprint marks are less visible as compared to both chrome and stainless steel. The electroplated matte black tap ware we offer is durable and very low maintenance. However, be careful not to use powerful chemicals as it has the potential to tarnish the beautiful matte black surface of your tapware! Spend more time relaxing in your bathroom than worrying about cleaning it after! This is what our matte black tapware is about. Giving you the best of both worlds! Black tapware is surprisingly low maintenance. Where with the chrome and stainless steel fittings you would find yourself always worrying about the marks and scratches, matte black accessories don’t easily show up marks and are a harder surface to scratch. So, you’ll be spending a whole lot less of time cleaning the prints of your fixtures and more time enjoying them. In the early stages of its introduction to the world, black tapware was finished in powder-coating leaving it more susceptible to marks and scratches. However, now these matte black products are incredibly sleek and a breeze to maintain. They have a high rating in both areas: style and functionality. The modern electroplating used to create matte black tapware gives it a sleek finish and makes it resistant to scratches while at the same time providing it with the much-needed protection against corrosion. Here’s a way to add a new feature to your home with the less fuss or worry! Even if you have a drab room with dull colors your bathroom does not need to be the same. Just add matte black tapware and voila! You’ll be surprised at the difference. Instantly, your bathroom will be transformed and will give tasteful and luxurious vibes. Matte black tapware can allow for minimalist design. You can safely add a stylish new feature to your bathroom without the worry of making it look gaudy, because; well, black does not, cannot, do flashy. You have a fancy yet understated look to your bathroom. The new focal point of your current bathroom will be your matte black tapware. It is high time to move past those age-old chrome fixtures and fittings. It is the age of black. And black will conquer. Be it in homes or the runway; this is the new fashion. This is the colour of the modern age, dark and fearless. Bold yet understated. This is what our matte black tapware is about. If you want a show-stopper in your bathroom or your kitchen, our matte black tapware is just the simplest and easiest solution. It will stand out and look strikingly modern. Pairing your white bath ware with our matte black tapware will seem both sleek and beautiful. It will add a distinct kind of vibrancy to the entire place. It will add warmth to a cold, white bathroom or kitchen. It will easily be the focal point of your bathroom or kitchen. All attention will immediately be drawn to the aesthetics of our matte black tapware. If you are looking to make changed to an industrial style kitchen than matte black tapware is just the thing you need. Whether you have timber or tiles, it will complement both. Pair a matte black tapware with an industrial styled white benchtop and have a new, stylish and sleek look for your kitchen. Be it in the kitchen or the bathroom; subway tiles look good anywhere. And just like that, subway tiles teamed up with matte black tap ware look even better together! Use matte black tapware with pure white subway tiles for a modern look. It will accentuate the entire look of your kitchen or bathroom. Matte black tapware is the lastest yet affordable in interior decorating. It is minimalistic, subtle, understated yet timeless, modern, sleek and downright fancy. If you are looking to change the style of your bathroom or your kitchen with the least amount of hassle, make sure matte black tapware is the top choice on your list! You will thank us later. And that’s guaranteed. MATTE BLACK TAPWARE FOR YOUR NEXT PROJECT! Latest Designs In Copper, Brass, Gun Metal and More!